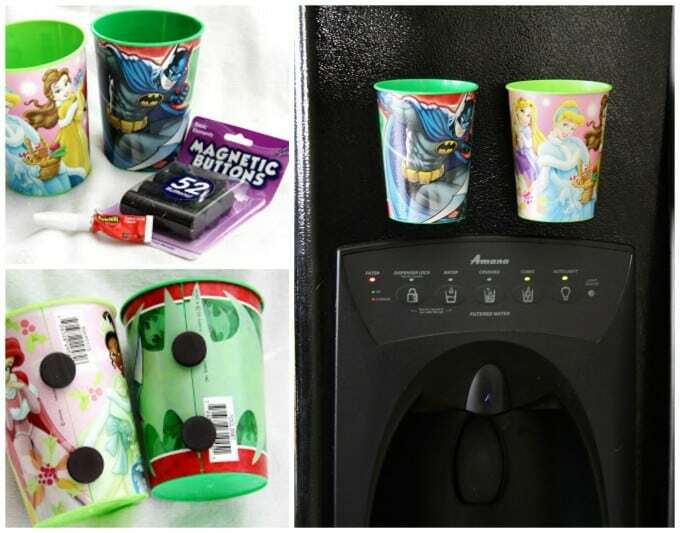 15 Must See Household Mom Hacks To Save Your Precious Time! Please know there are affiliate links within this post. These are basically links that pay me a small commission if you buy a product through clicking the link I provided in this post. 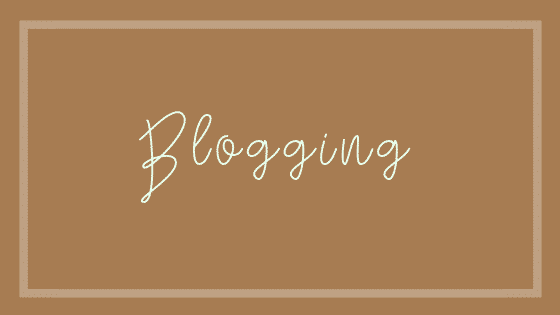 I ONLY link to the products I trust and love and want to help make your buying process super easy! If you’re a busy mom who could use some time and money saving ideas – you’re in the right place. 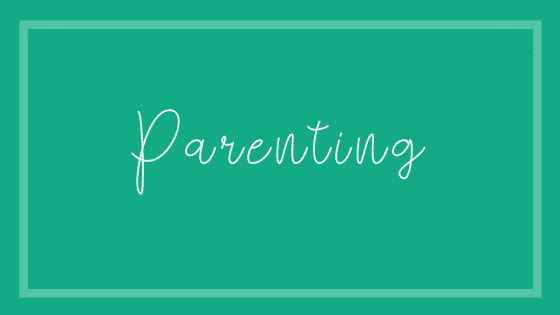 I’ve rounded up some of my favorite household hacks to help make your school mornings less frantic, bath time less crazy, and turn clean-up time into a fun activity for the kiddos. *** For 6 days ONLY you can get in on this year’s amazing Homemaking Bundle from Ultimate Bundles! 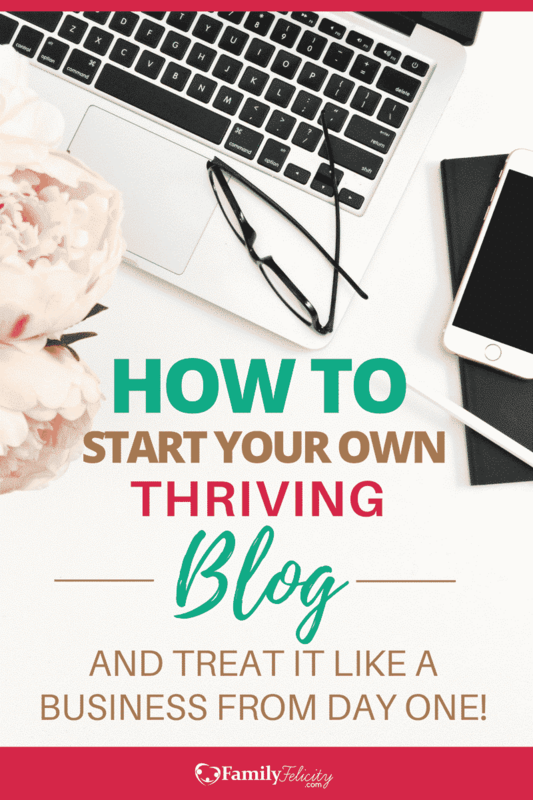 It’s literally full of resources to help you not only become a better, more organized Homemaker… but will also help you be more productive, more attentive to your family, grow spiritually, and even build your business and blog! Get your own Bundle Here!! This hack is a video that quickly walks you through several great ideas on how to make packing lunches a whole lot easier. Get those adorable reusable snack and sandwich bags here! Get stainless steel lunch box organizers here! And we don’t want to forget the water bottles here! 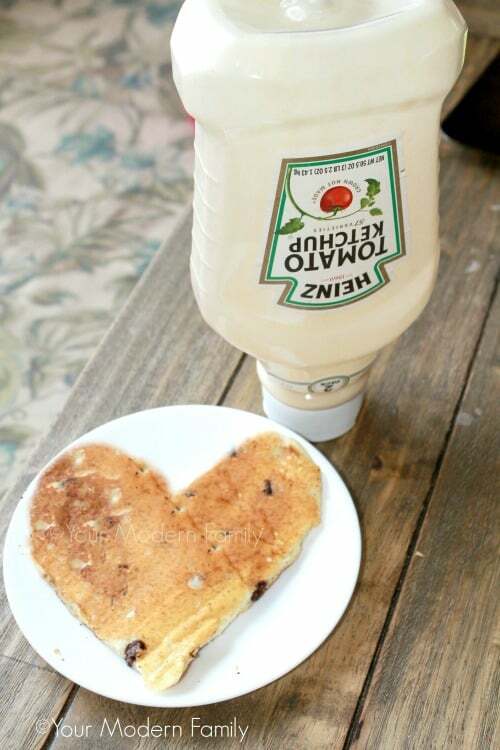 Have a ‘day of the week’ breakfast. I don’t know about you but the stuffed animals are taking over my house! So, when I saw this idea I was very excited. 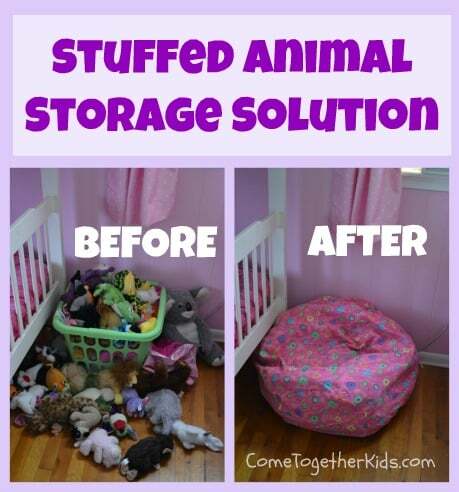 Just buy a bean bag cover and store all your children’s fluffy friends in their new home and it makes the room look great. It also makes clean-up time feel like a fun activity. You can find a beanbag that’s specially made for kid’s toys here! 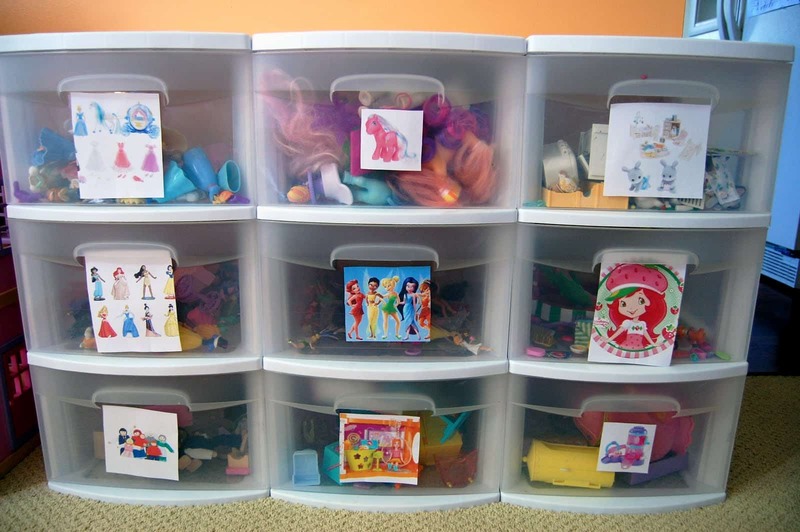 Here’s a great idea for storing your children’s hard toys like action figures and Legos. Just print out a picture of the toy from google, or just cut out a picture of the toy straight from the box before you throw it out. Stick in on a drawer and there you have a fool-proof clean-up guide for the kids. You can easily get drawers like this one here! 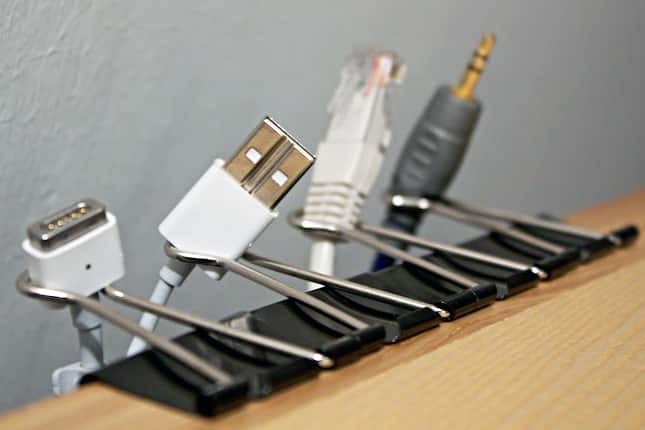 This is a great no cost idea for keeping your electronic drawer from getting over-run by tangled cords. Finding the elusive hair band in a morning rush for school is a recipe for a frantic moment. But stress no more when you slide them on a toilet paper roll. 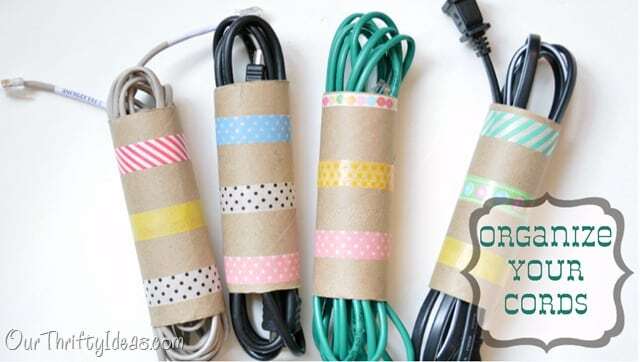 You can even wrap the roll in decorative duct tape to make it even more durable and cute. 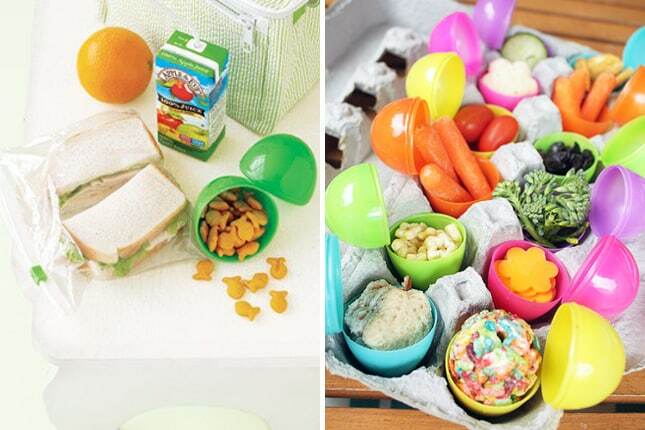 After you buy all those plastic eggs for your Easter egg hunt every year, what do you do with all those eggs? Use them as snack holders! They’re great for lunches boxes or play-date snack time. You can get an order of 50 of these eggs for under $10 here! 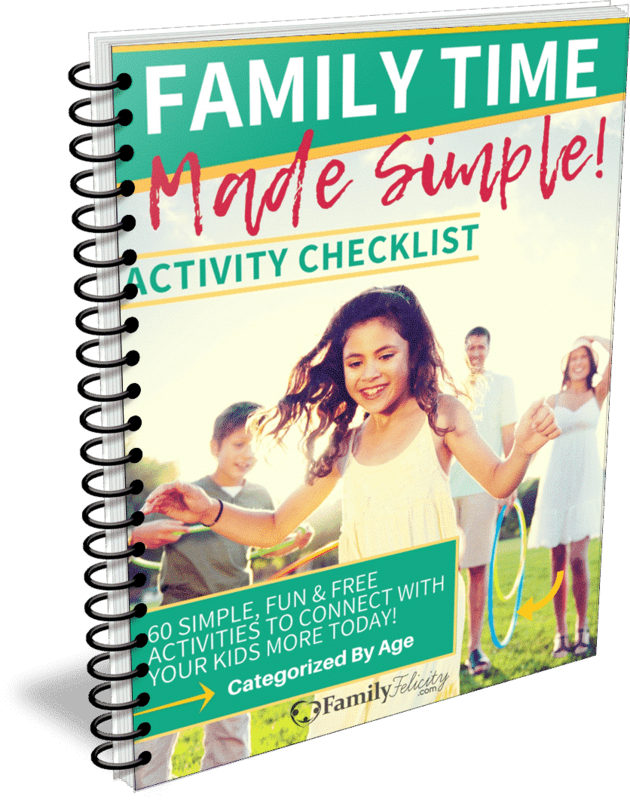 This one is an absolute life saver for a home office or your child’s homework desk. 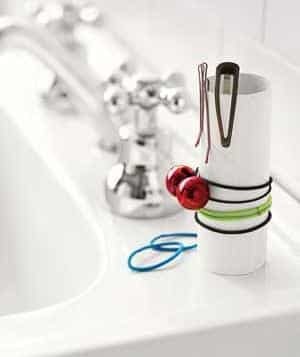 This also works fantastically for certain bedside tables or book shelves that store electronics. If you’re kids are like mine, they use every cup in the cupboard in one day just getting drinks of water. This is a creative way to let your little “independents” get their own water and stick their empty cup back on the fridge when they’re done. Store bath toys and even other shower items in plastic bins hooked by shower curtain hooks. Simply hook the bins to a low shower rod. 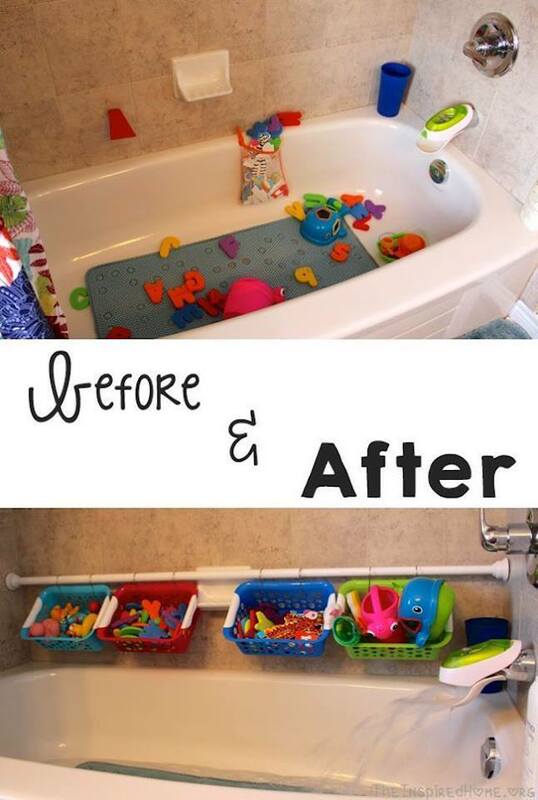 It’s easy for the kids to get their toys out and clean them up at the end of bath time. Get a six-pack of colorful baskets here. And get the shower hooks here, and the rod here! This hack is an amazing space saver for your precious closet space. 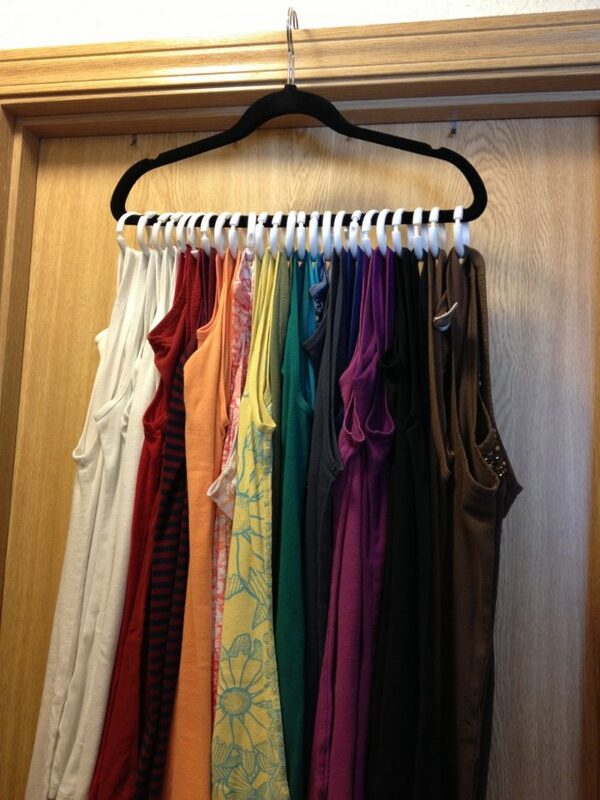 Hang all your tank tops from shower curtain hooks and hang the hooks on one hanger. Just be sure to use one of those fuzzy hangers to keep the shower hooks from sliding to one side. Check out these amazing hooks >here< that let you easily hook 2 shirts on each hook without needing to close them! 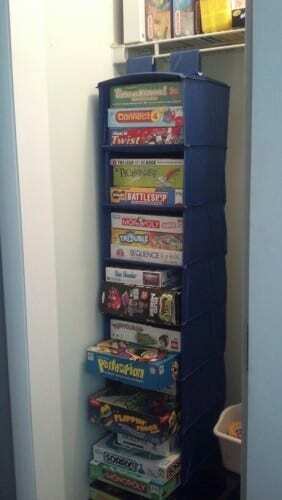 Are your toy shelves piled high with board games? Try using a hanging sweater organizer to hang all those games inside a closet. Get an extra wide hanging storage with handy side pockets here! Small kids need food cut into small pieces, but that can be a real pain – especially if you have more than one little. 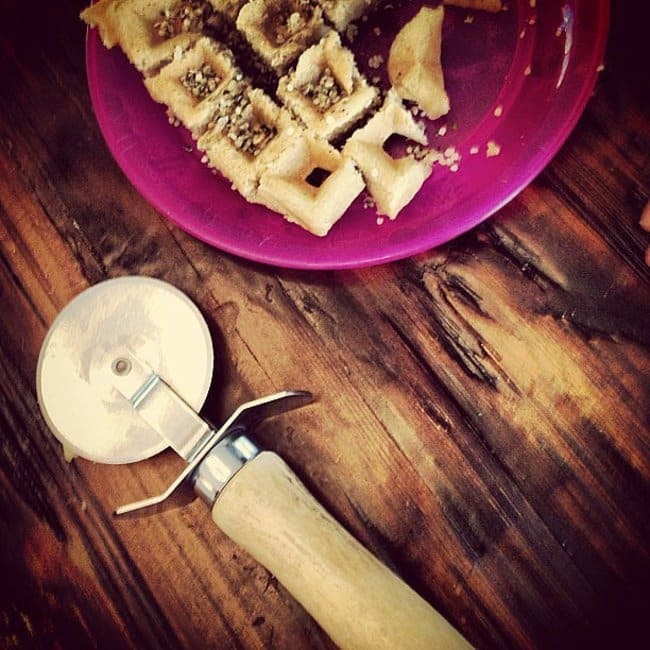 I love using a pizza cutter to quickly and easily cut pancakes, sandwiches, and waffles. Oh, and pizza, too! 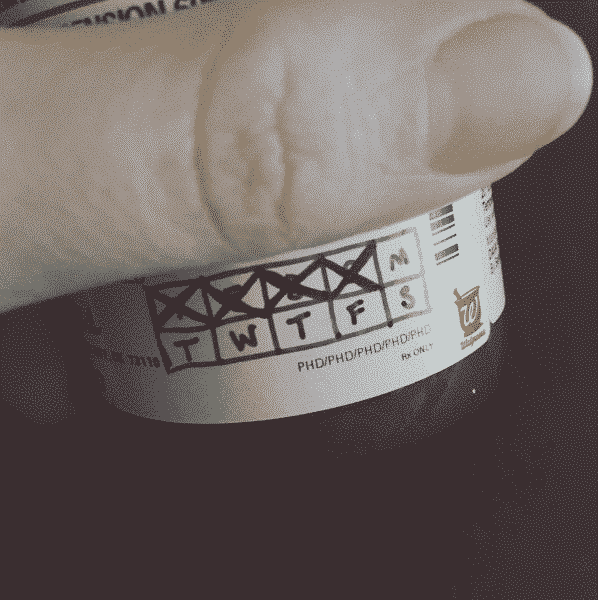 This is the easiest way I’ve seen to check off the days of your child’s medication doses. You can never be too careful! Store your grocery bags in an empty pringles can in a kitchen drawer. 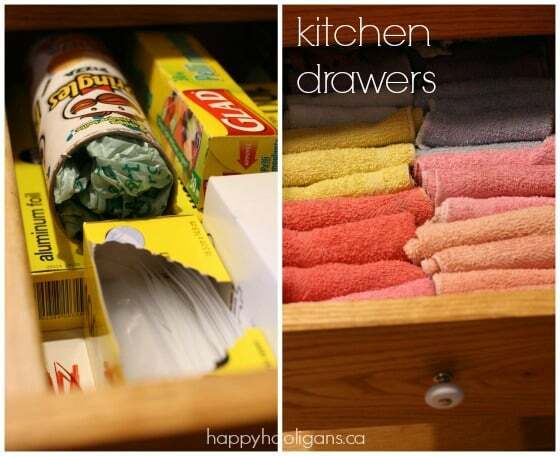 In that same drawer, store your dish towels upright so you can fit more in! These are just a few of my favorites. Please share in the comments some of your go-to parents or just plain-ole life hacks. Don’t keep the good stuff to yourself! These hacks are total lifesavers! Since you’re now rockin’ it with saving time and money, go to the next level and rock your goals for this year! If you’re living the life you really want, my new email course can help. 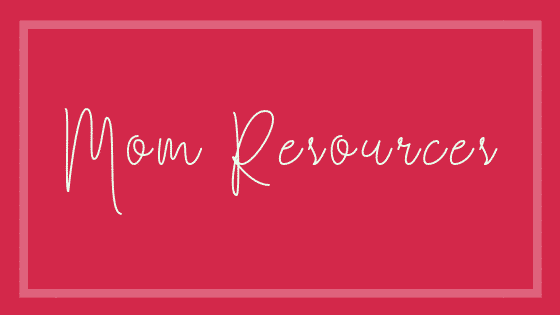 Click below to download our FREE email course to give you the tools to Slay Your Year no matter what time of the year you’re in!